Above: Making omelets at Under the Big Top, the annual fundraiser for the preschool at Gates of Prayer in Metairie, on March 6. The Goldring/Woldenberg Institute of Southern Jewish Life in Jackson has received a challenge grant commitment, a 1:2 match of up to $500,000. The ISJL’s campaign to access the grant by raising $1 million goes through March 20. Limmud New Orleans is next weekend! Events will be at Gates of Prayer in Metairie on March 18 and 19, and at the Lavin-Bernick Center at Tulane on March 20. 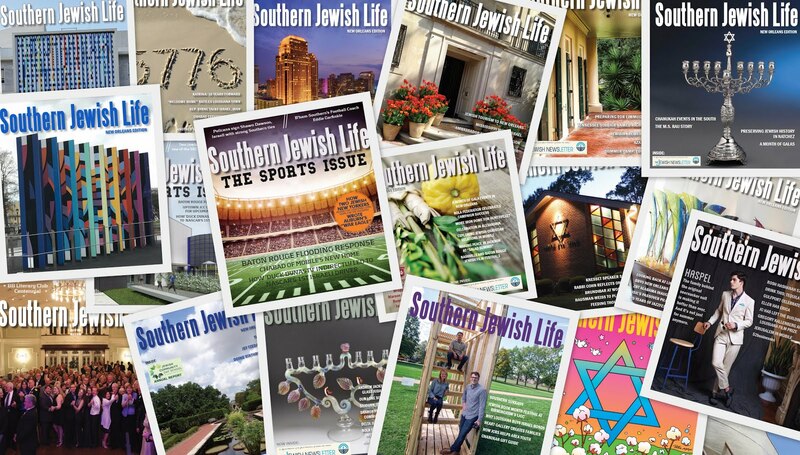 Among the 90 presenters, Southern Jewish Life Publisher Larry Brook will speak about 25 years of covering the Jewish South, March 19 at 5:15 p.m. Registration and more information available here, use promo code SJL for $10 off registration. A U.S. Army veteran who was enrolled in graduate school at Vanderbilt was killed in a stabbing attack in Jaffa this week. Tailgate parties (including one with a Jewish Super Bowl winner), Persian food, Waffle House, Star Wars, Second Lines and the Muppets — they’re all taking center stage in the region’s Purim festivities. Here’s an updated list of events. Jewish Children’s Regional Service held its annual gala on March 5 in New Orleans. Our photo album from the evening is here, on our SJL Facebook page. Here are our photos from the Where Y’at New Orleans BBYO Reunion on Feb. 27, also on our SJL Facebook page. Jonathan Greenblatt, the new national director of the Anti-Defamation League, will make his first visit to New Orleans in March for two addresses. He will give a keynote address on March 17 at New Orleans Entrepreneur Week, at 11 a.m. at The Chickory. On March 16, he will speak on “Anti-Semitism and Justice for All: Because the Work is Not Yet Done,” at the home of Leann and Ted Moses. Because of limited space, reservations for the 6 p.m. program are requested. 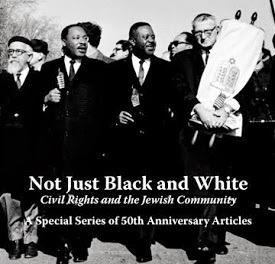 Students from the only Jewish Day School in Kansas City and from a Kansas City college preparatory charter school will do a civil rights tour this week, including Montgomery, Selma and Birmingham, with dinners scheduled at Agudath Israel-Etz Ahayem in Montgomery and Mishkan Israel in Selma. The U.S. government has charged 10 Israelis in visa and tax fraud over an illegal network of mall kiosks, including some in the Atlanta area. A bill authorizing a Holocaust memorial at the Florida State Capitol in Tallahassee heads to the governor’s desk. An online petition is urging the Mississippi State Athletic Department to commission a statue in memory of Jack Cristil, the voice of the Bulldogs. An anonymous donor has pledged to match up to $25,000 in contributions to the University of Alabama Hillel by May 31. In Baton Rouge, Beth Shalom will have its 32nd annual corned beef sandwich sale, March 13 from 11 a.m. to 1 p.m. for take-out, and March 14 and 15 for take-out from 10 a.m. to noon and deliveries to local businesses with five or more orders. The $10 lunches include a ¼-lb. corned beef sandwich on rye, potato chips, dill pickle and homemade brownie. Tuna or egg salad sandwiches are available by request. Gemiluth Chassodim in Alexandria will have its annual corned beef sandwich sale on March 15 from 11 a.m. to 2 p.m. Packages include a corned beef sandwich on rye, cole slaw, pickle and potato chips for $8. One may dine in, take out, or there is delivery available for orders of 10 or more. Tickets must be purchased in advance, because they sell out each year. 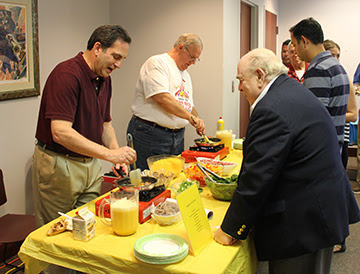 In Monroe, the B’nai Israel Men’s Club will have a kosher hot dog lunch on March 15. The $5 package includes a hot dog, chips and drink. Packages will be available for takeout only, from 10 a.m. to 4 p.m. The annual Corned Beef Extravaganza at Springhill Avenue Temple in Mobile will be on March 17. The $10 lunches include a ¼-lb. corned beef sandwich on rye, a kosher pickle, New York style cheesecake and bag of chips. Prepaid orders must be in by March 14. Orders may be picked up at Springhill Avenue Temple from 10:30 a.m. to noon, or delivered for orders of 10 or more lunches. American Hebrew Academy is holding its prospective student weekend, March 18 to 20 in Greensboro, N.C. The academy is an international pluralistic Jewish college prep boarding school. Gulf Coast Bank is doing its 4th annual Community Rewards program, with $50,000 going to the 10 non-profits that get the most online votes. The only group in the Jewish community participating this year is Hadassah in Baton Rouge. The historic Temple Beth Tefilloh in Brunswick, Ga., is hosting a Jewish Food and Culture festival on March 20 at the Morning Star Marina, in the courtyard near the Coastal Kitchen and Raw Bar, on St. Simons Island, Ga., just off the Causeway. There will be music, dancing and a mock wedding. Proceeds will benefit the Temple’s restoration fund for its historic building. Admission to the event is free. The Jewish Endowment Foundation of Louisiana is administering the Goldring first-time camper incentive grants of up to $1,000. The grants are available to those in Alabama, Mississippi, Louisiana and the Florida panhandle attending a sleepaway Jewish camp for the first time. Birmingham's Knesseth Israel is holding a fundraising raffle, with 500 tickets available at $100 each. The winner will have the option of a Jewish or Christian tour of Israel for two, or $5,000. The tours include airfare. The winner will be drawn at a reception on May 12, one need not be present to win. What To Eat in Birmingham releases information on what to expect in the upcoming Pizitz Building food hall. Anyone who goes to Urban Cookhouse in Birmingham on March 14 from 5 p.m. to close and mentions Magic City BBG, 10 percent of their check will go to the BBG chapter. Stephen Silverman, author of “The Catskills: Its History and How It Changed America” will be featured at the Temple Beth Or Guest Author Series in Montgomery, on March 17 at 7 p.m. The area was known as a Jewish vacation hotspot and incubator for the hospitality and entertainment industries. The book explores the Catskills’ contributions to literature, art and politics, and how it became Jewish New York’s vacation mecca, with Las Vegas-style resorts and a wide range of famous entertainers. 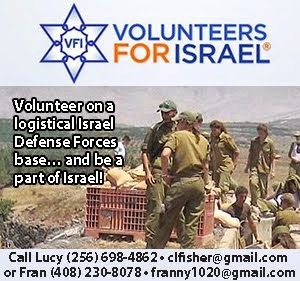 The next Café Israel with Shlicha Dana Korem in Montgomery will be March 15 at 7 p.m. at Agudath Israel-Etz Ahayem, discussing the Israel Defense Force’s “people’s army,” the Education Corps. Jewish War Veterans Post 608 will meet at 10 a.m. on March 20 in the Birmingham Levite Jewish Community Center board room. Guest speaker is U.S. Rep. Gary Palmer from the 6th District. He will be speaking on current events and community members will have the opportunity to ask questions. The event is free and open to the public. A light brunch of bagels, cream cheese, coffee and water will be served. To RSVP, contact Donna Berry, (205) 879-0416. This month marks the BHEC annual lecture series at the Birmingham Public Library’s main branch. On March 14 at 6 p.m., James Sedlis will present the story of his father Gabriel Sedlis, a Jewish Partisan during the Holocaust. The series concludes on March 22 at 6 p.m. as Esther Levy and Bari Katz present the story of local resident and Holocaust survivor Dora Nesselroth. In the BHEC film series at Emmet O’Neal Library: The film “Radical Evil,” on March 13 at 2 p.m., is Oscar-winning director Stefan Ruzowitzky’s exploration of how ordinary people can become mass murderers, concentrating on Nazi soldiers in Eastern Europe who murdered Jewish civilians with pistols and rifles between 1941 and 1943. Collat Jewish Family Services is seeking volunteers to serve as substitute teachers in its ESL program. Classes meet on Monday and Wednesday mornings, but volunteers will not need to volunteer for all of those dates. No prior teaching experience required. Substitute teachers will facilitate reading aloud and lead discussion of articles on various topics. 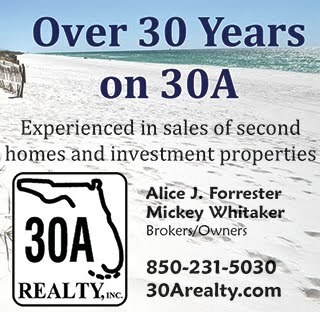 For information, contact Amy Peetluk at 879-3438. Temple Beth-El in Pensacola will celebrate its newly-renovated building on March 18. The evening will begin with a wine and cheese reception and the rededication starting at 5:30 p.m. Services will follow at 7 p.m., with music by Victoria Adamenko, Leonid Yanovskiy and Cantor Richard Cohn. A special oneg will follow. Southern Jewish Life Publisher Larry Brook will be the speaker at a Temple Beth-El Sisterhood program in Pensacola on March 16 at 11:30 a.m. The Pensacola Jewish Federation will have a Purim festival on March 13 at 12:15 p.m., at Creative Learning Academy. There will be face painting, bounce houses, food, treats and games. The event is free and is open to the community. The next Café Israel in Pensacola will be on March 14 at 6 p.m., on Israeli humor. The event will be at the Cactus Flower Café. Temple Sinai in New Orleans will welcome Bryan Hymel for a benefit concert on March 13 at 6 p.m. The New Orleans JCC will hold its 47th annual Adloyadah community-wide Purim celebration on March 13 from 11:30 a.m. to 3:30 p.m. at the Uptown JCC. There will be food, music, games and activities for all ages. The inflatables are back, along with the “Human Hamster Balls,” which made their debut last year. Food items include Middle Eastern delicacies and New York-style deli items, snowballs, popcorn and homemade hamantashen, baked by the Young Women of Hadassah in the tradition of the New American Social Club. Admission to the carnival is free and open to the community. A children’s All Day Play Pass is $12, or $10 with a donation of nonperishable items for the Broadmoor Food Pantry. Author Claudette Sutton will have two readings and book signings of "Farewell Aleppo: My Father, My People and the Long Journey Home," about the Jewish community of Aleppo, Syria, in New Orleans. She will be at Octavia Books on March 14 at 6 p.m., and the Uptown JCC on March 15 at 1:30 p.m.
JNOLA will have its annual Spring JNETWORK event on March 31 at 6:30 p.m., hosted by John Hairston of Whitney Bank. Reservations required by March 25. Temple Sinai in New Orleans will hold an LGBTQ+ Interfaith Seder, celebrating Passover and “the important place this ancient Jewish festival holds in Christian faith and history.” The Seder will be March 22 at 6 p.m., and is free but reservations are required. In light of the Union of Reform Judaism’s recent Resolution on the Rights of Transgender and Gender Non-Conforming People, Gates of Prayer in Metairie is holding a program on how the local Jewish community views and embraces individuals who identify as transgender and gender non-conforming. There will be a panel of activists, advocates and individuals of varying gender identities, with a discussion of how to create a more welcoming space. The program will be March 16 at 7:30 p.m. The next session of professional Jewish ethics at Touro Synagogue will be on March 15 at 6:30 p.m. Led by Rabbi Alexis Berk, the dinner and discussion will be on Jewish ethics in health care. Dinner is $10 per person. New York pianist Gary Negbaur and his band return to the Uptown JCC on March 17 for a fun-filled afternoon concert. Come at 11:30 a.m. to enjoy a delicious New York style brunch and everyone’s favorite Broadway tunes. The Broadway Brunch is free and open to the community thanks to a generous grant from the Bruce J. Heim Foundation. RSVP to Rachel Ruth at (504) 897-0143. 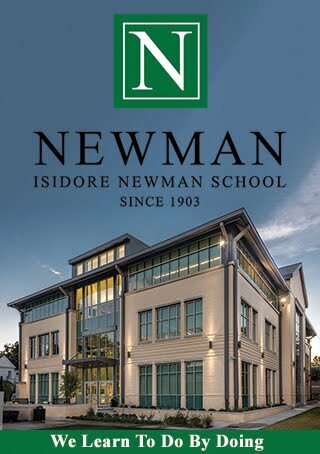 Chabad at Tulane Graduate Division and the Jewish Legal Society will have a lecture by David Nimmer on March 13 at 7 p.m., accompanied by dinner. Nimmer is a leading expert on IP, Patent and Copyright law, and he will be lecturing on “Bans, Book Burnings, Excommunications: Jewish Copyright Law 1550-1999.” The lecture will take place at the home of Rabbi Yochanan and Sarah Rivkin, reserve to Rabbi Yochanan Rivkin. Jewish Community Day School in Metairie rescheduled its Family Math Night for March 30, with a free pizza dinner at 5 p.m. and interactive activities at 6 p.m.
Acts Theatre in Lake Charles will have a production of “The Diary of Anne Frank,” March 11 to 20, at 7:30 p.m. on Fridays and Saturdays, 3 p.m. Sundays. “The Producers” will run from May 27 to June 12. Torah Academy of New Orleans is accepting applications for the upcoming school year. Early bird discounts on tuition will be given to students who register before March 18. To book a tour or to register, contact Torah Academy at (347) 356-4714, or visit the website. Space is limited, and scholarships are available for eligible students. Chabad of Metairie is hosting a three-part parenting series, “Raising a Mensch,” with New Orleans Hadassah and PJ Library. Mark Sands, director of psychiatry at Mercy Family Center, will facilitate. 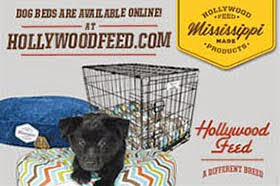 The series will be on Mondays from 7 to 8:30 p.m., with babysitting available with advance request. “Raising Children who Thrive” will be on March 14 and “Striving and Thriving With Limits” on April 4. Mississippi State Hillel and the Student Association present two free programs: On March 21 at 6:30, James Hunt and Joseph Johnson will speak about their service at the Battle of the Bulge in World War II. The program will be in the Union Dawg House. On March 23 at 6:30 p.m. in Bettersworth Auditorium, Lee Hall, Sami Steigmann will speak about his experiences surviving the concentration camps and experimentation. Both programs are open to the community. Tickets are available at the Center for Student Activities. 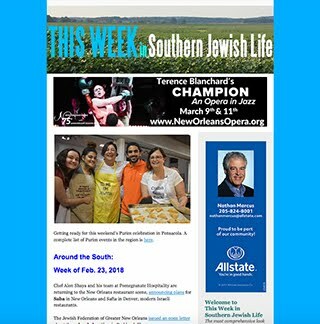 Sign up here to receive the full 'This Week in Southern Jewish Life' email direct to your inbox. 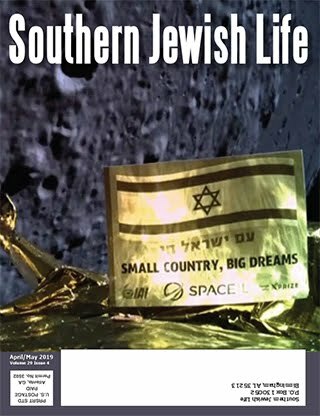 It includes even more content including topics of Jewish interest from around the world, opinion, careers board, candlelighting times, special offers, and more. .